For over 17 years, Jonathan has practiced law in some of the most competitive environments the profession has to offer. Working in several prominent law firms in both New York and London, Jonathan assisted numerous Fortune 500 companies (including some of the largest tech, pharmaceutical and biotech companies in the world) with complex intellectual property transactions and litigation. In 2013, Jonathan moved from New York City to San Diego, and instantly fell in love with the active environment and athletic lifestyles led by many who live here. As an avid triathlete, Jonathan was also thrilled to be based where the sport was founded. 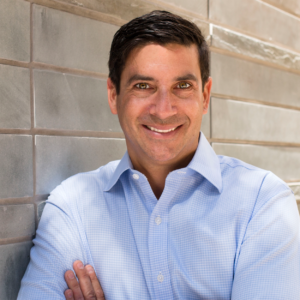 In 2014, Jonathan began his private law practice in San Diego, working with established businesses and start-ups alike on a broad range of legal matters, including intellectual property procurement and strategy, licensing and enforcement, and general commercial transactions and contracts. Jonathan prides himself on leveraging his “Big Law” experience and training when helping his clients, and doing so in a sensible manner, ever mindful of his clients’ legal budgets. Moreover, Jonathan believes that every client – no matter big or small – deserves a high level of personalized attention when dealing with their legal issues. 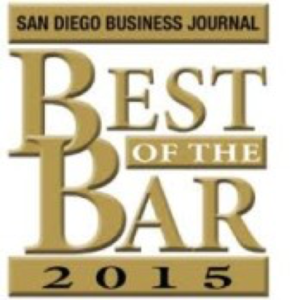 Jonathan has been recognized as a San Diego Top Attorney by the San Diego Daily Transcript, and awarded Best of the Bar by the San Diego Business Journal.